One of the most annoying features of the Matlab compiler is the fact that compiled (deployed) applications take a loooooooooong time to load the first time that they are run on the target platform, or after a computer restart. This can take anywhere from 15-60 seconds, depending on platform characteristics. During this time, there is absolutely no visual indication that the application is loading. The application displays no window or other visual cue to let the user know something is loading. I have seen many users double-click the application icon again and again in frustration, thinking that perhaps the application did not start when they first tried. In fact, this launches multiple applications and MCR loads at the same time, which only prolongs the overall time that it takes the application to actually load and display. The “normal” solution for this would be to display a splash figure or start-up message at the very beginning of the application. Unfortunately, this doesn’t help because the vast majority of the launch time is due to MCR load time, which happens before any user code is executed. The result is that our application’s splash figure or msgbox will only be displayed after the very long time in which the application appears unresponsive. I developed a splash-screen wrapper application for deployed applications that solves this problem on Windows platforms. The idea is to create a stand-alone non-Matlab application that displays a user-specified image (splash) in a dedicated window at the center of the screen, and then immediately launches the requested deployed Matlab application in the background. The wrapper then waits for the Matlab application to load, and automatically closes the splash window when it detects that the target Matlab GUI has finally displayed. The effect is that upon launching the application, the user sees immediate feedback in the form of a dedicated splash window (for example, displaying an image of the application or company logo with the message “Loading – please wait…”). This does not make the target application load any faster, but at least users are given immediate feedback that prevents them from re-launching the application. Users also report that this makes the application appear to load faster. This is due to a psychological effect called “perceived performance” – we also see this effect with phone ringtones and elevator floor-level indicators. You can create a shortcut that runs the above command-line and then when the user clicks the shortcut it will automatically launch splash.exe, which will automatically display the splash screen and then load your main application. I’ve contributed dozens of useful open-source utilities to the Matlab user community over the years (look at my File Exchange profile). This utility is different because it directly targets compiled applications, which are typically used commercially. For this reason, my splash wrapper application is not free (but also not very expensive). You can purchase a copy here, and I will email it to you. Please note: this is a Windows application. It will not work on Macs or Linux. 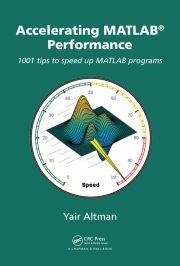 Interested in learning more about actual and perceived performance improvement tricks in Matlab? Consider attending my Matlab Performance Tuning course – email me (altmany at gmail dot com) for details. Arash Marashian (12 days 15 hours ago): Problem Solved. I found out that my version does not have this icon. thanks. Marshall (13 days 18 hours ago): This was a fun puzzle–don’t hesitate to add more posts like these if you come across some other fun ones! Reza (14 days 0 hours ago): I have the same problem. this Java widget got error in compiling via Matlab 2018! Could you please show me how to solve this? GGa (15 days 18 hours ago): There isn’t anything “outside the UTF-8 range”. UTF-8 can represent any Unicode character, as far as I know.